650,000 people receive chemotherapy in the United States each year. Doctors prescribe this powerful drug to help kill cancer cells but also use it to treat a variety of other serious illnesses. While the medication can help put cancer into remission, it is notorious for a variety of serious side effects. Some of the most brutal include vomiting, feeling incredibly ill and the total loss of hair. Some people also experience neuropathy from chemo. As chemotherapy kills cells, it can also kill the cells in your nervous system. This can result in painful nerve damage. Nerve damage, scientifically speaking, occurs when chemotherapy kills the cells that produce myelin. Myelin helps protect nerve conducting fibers, and without it, they can have serious damage. Depending on the chemo drug, people can develop neuropathy immediately after receiving their first dose up to years after they have stopped receiving chemo. Symptoms are wide-ranging, but often include pain, burning, numbness, and weakness in the limbs. Read on for 5 top tips on preventing and managing neuropathy while taking chemotherapy drugs. For some people, this a no-go, since they’re already taking medication for chemo and to manage its side effects. However, medicine can work well for managing neuropathy once it’s started. Medications like Lyrica, which acts as a nerve blocker, or amitriptyline, which inhibits your awareness of pain, can also help you deal with and mitigate the side effects. These medications are typically not prescribed until you present neuropathy from your chemotherapy. They do not prevent neuropathy from occurring, but they can help you live with it once you do have it. While this can’t completely eliminate or prevent neuropathy, exercise is a great way to get your blood flowing and muscles moving. Taking chemotherapy can make daily exercise difficult, but if you can, try to get some exercise if your doctor says it’s okay. 30 minutes to one hour of movement three times a week can drastically decrease your chances of developing neuropathy. If you can’t exercise regularly due to your chemo regime, speak to your doctor or a nurse about what you can do to move your body. You may not be able to do full-on cardio, but you may be able to do smaller movements that keep your body balanced and in motion. Eating a balanced diet can help with a variety of things, including preventing neuropathy from chemotherapy. A diet rich in B12 is especially important for ensuring that your nerve cells don’t break down too quickly. B12 deficiencies can lead to all kinds of issues, but most notably it can cause nerve problems. On its own, you can develop neuropathy from not having enough B12. 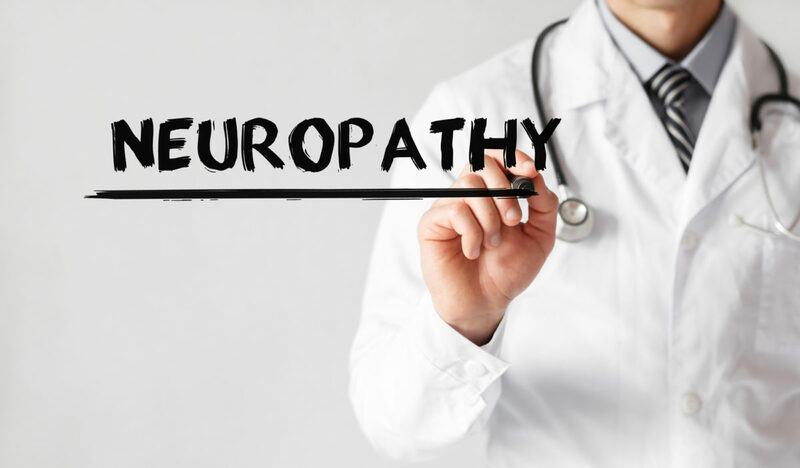 If you already have neuropathy, it can make it incredibly difficult to ward off or help treat neuropathy acquired from chemo. Vitamin B12 is mostly acquired through animal-based products. Eggs, fish, meat, and poultry naturally have B12 in them. Some foods are fortified with B12 to ensure that you get the right amount each day. Your body cannot make this vitamin on its own, like many others, so you must get it from an outside source. Getting regular massages can help prevent or decrease your chances of developing neuropathy following chemo. This is because it can strengthen your blood flow and help keep your body from further damaging nerve cells. This, however, is not foolproof, and a massage alone may not be enough to keep you from developing neuropathy. If you have developed neuropathy, or are trying to prevent it, a Swedish massage can help mitigate pain. It can also help you prevent further damage from occurring. When having a massage to help prevent and treat neuropathy, it is important to use a massage therapist who knows something about the condition. Acupuncture is an ancient Chinese practice that helps treat pain with a series of minimally invasive needles. It can be used in conjunction with massage therapy. Some studies show that acupuncture can actually help restore nerve damage, whilst others simply say that it helps relieve pain. Results may vary from person to person. Studies on animals have shown that acupuncture can help restore movement to rats and other animals who have suffered from the loss of limb movement or full paralysis. Again, before you have any kind of acupuncture, you should choose someone who has experience with neuropathy. Choosing someone who has never treated it may not help your symptoms. Additionally, you should always choose an acupuncturist or massage therapist who is fully qualified before proceeding with treatment options. Both SCS and DRGS are methods of neurostimulation that help treat ongoing pain resulting from chemotherapy or other issues. Spinal cord stimulation has existed for over 50 years as a treatment for chronic pain and is the oldest type of this kind of therapy. There are several different ways your doctor or pain management therapist can use it to treat neuropathy. SCS can involve both surgically implantable devices that offer pulse generators and nerve stimulation in various parts of the body. Dorsal Root Ganglion Stimulation stimulates nerves along the dorsal root ganglia. The nerves regulate pain structures in the body and stimulating them can help decrease pain in areas of the body that are the most painful. What is the Best Treatment or Prevention of Neuropathy from Chemo? Unfortunately, there is no surefire way to prevent neuropathy after you’ve had chemo. Those who already suffer from neuropathy will likely develop it further after chemo and may have to use stronger medication or more invasive treatments to cope with it. Eating well and exercising when you can help in prevention, though it definitely cannot cure you completely, nor relieve all of the painful effects of neuropathy. For more information on neuropathy after chemo and general pain management, visit our blog. There, you will find a wealth of information and tips and tricks for chronic pain sufferers.